TRUEplus U100 29G 1cc 0.5 inch Syringes - 500 Count. 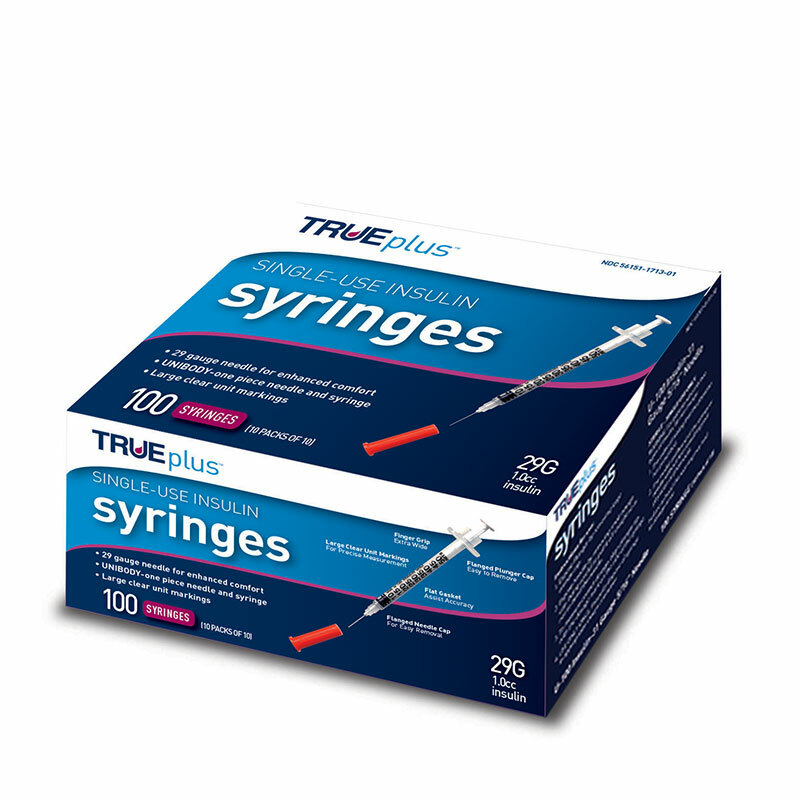 The TRUEplus Single-Use Insulin Syringes are an easy and comfortable way to deliver insulin. They are available in a wide variety of gauges for enhanced comfort.